David Gulpilil looks older than I expect. Segments of his shoulder-length grey hair are unintentionally dreadlocked and his suit hangs from his slight frame like it doesn’t belong. He is late, having already missed the traditional smoking ceremony that he was due to participate in – part of the opening celebrations for the ACMI Screen Worlds exhibition that he’s in Melbourne to promote. People mill about, strangers greet him by name. He’s smiling, waving back, but at 9:30am there is something about his face that says this world – a boardroom in the middle of the city, surrounded by people he doesn’t know – is confusing. His mind is still processing the morning chaos, yet he’s jovial with the glow of a man who’s just had an early morning tipple. I’m nervous. Growing up on a filmic diet of Storm Boy repeats, I’m finally meeting the man who, in the film, lovingly buried Mr Percival (the real pelican died in early September at Adelaide Zoo). Vaughan, his minder, directs his attention to where I’m standing. Gulpilil flashes what should be a toothy grin, but he’s missing many of those and before I begin to greet him, he’s already wrapped his arms around me in a strong embrace. He sits, his hands pressed into mine. Any nerves I had about meeting my ageing childhood hero have dissipated. With formality seeming entirely inappropriate now, I begin to explain my love of Storm Boy and that old pelican. Vaughan jokes that “Gulpie wanted to have Mr Percival stuffed, for memory’s sake,” as Gulpilil lets out a roaring laugh. His eye contact is intense; gaze unfaltering while he’s otherwise animated. It’s this intensity that has grabbed audiences since his first appearance onscreen in Walkabout. Back in 1971, director Nicholas Roeg plucked him from the Maningrida bush in central Arnhem Land for his extraordinary ceremonial dance skills. “They come and they sat down because I am the best dancer in the world – better than a prima ballerina,” he laughs. He might be full of bravado but Gulpilil is known to have those from home, in the Northern Territory, close by for support. Vaughan, who patiently prompts him through the interview, has known him for nearly thirty years and Gulpilil and his wife, Miriam Ashley, currently live with him. His children are mentioned frequently; he taught them how to dance, hunt and sing, “I’m proud, I’m proud,” he repeats as a tear works its way down his cheek. Many of Gulpilil’s six children live in the city “getting an education”, and sons Jamie and Jida have, in recent years, entered the industry too in the films Ten Canoes, Ned Kelly and Australia. 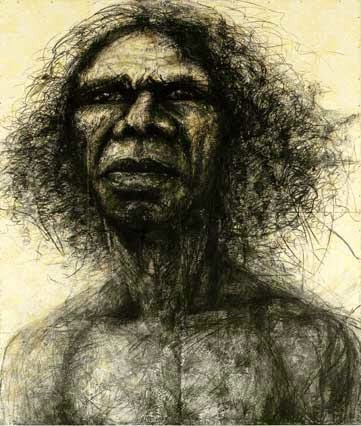 Gulpilil is grateful that his sons will continue to tell indigenous stories to “do the movies to educate family, my people, them blackfellas or whitefellas or any fellas.” And despite mixed reviews regarding the way in which Australia presented indigenous history, Gulpilil is happy that the film was able to reach such a large audience. Vaughan interrupts: “Infamous, more like it.” Gulpilil cackles. Despite being planted between two opposing trajectories, Gulpilil’s spirit is as strong as ever. Behind the haze, his cheeky grin and sharp sense of humour ring out. “I am here,” he gestures largely, “Australia I am here!” I feel sad that after all these years he thinks we might not have noticed.